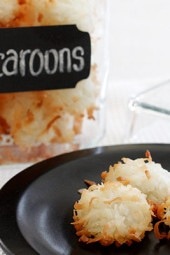 Moist and chewy coconut macaroons are not just for Passover! They are pretty addicting, and naturally gluten free, so enjoy them any time of the year! 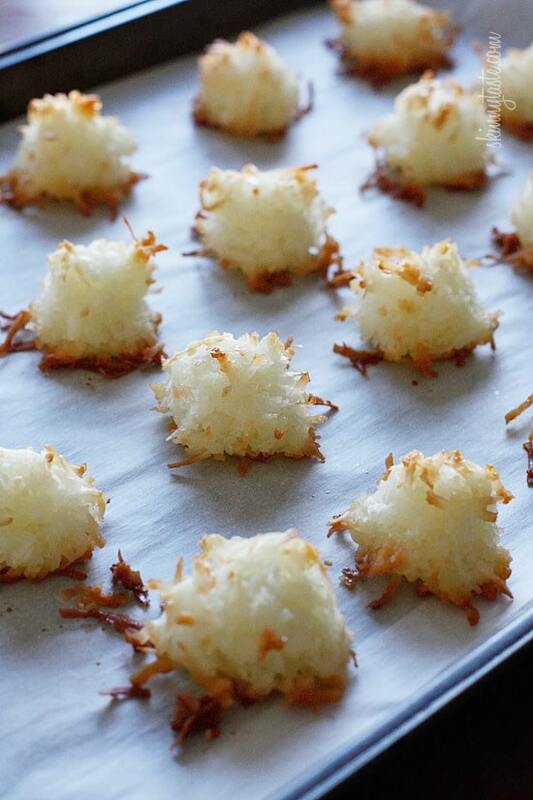 … and making macaroons couldn’t be easier, you simply combine coconut flakes, egg whites, and sugar, simmer on the stove, cool then bake in the oven. If you want to get fancy you could add some slivered almonds or drizzle them with chocolate, or turn these into Easter Egg Nests for the holiday, but here’s a basic recipe. 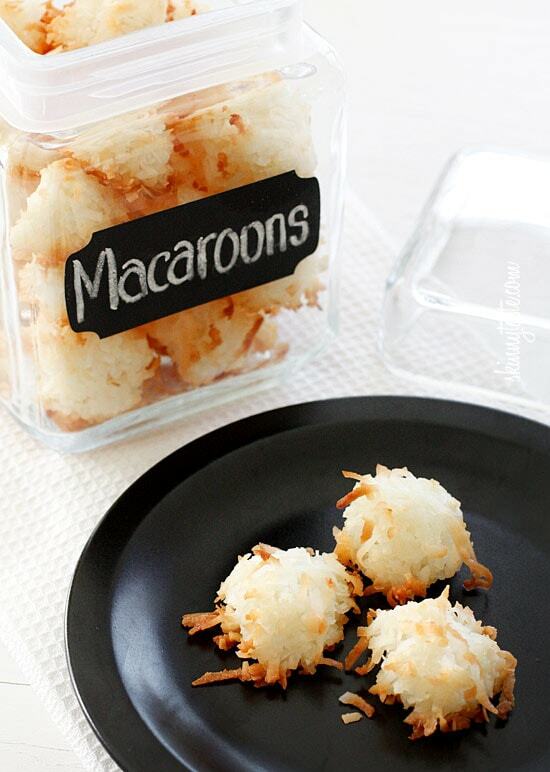 What makes a macaroon a macaroon? A macaroon is a type of cookie that is baked with ground coconut and almonds, or another type of nut, as its’ main ingredients. 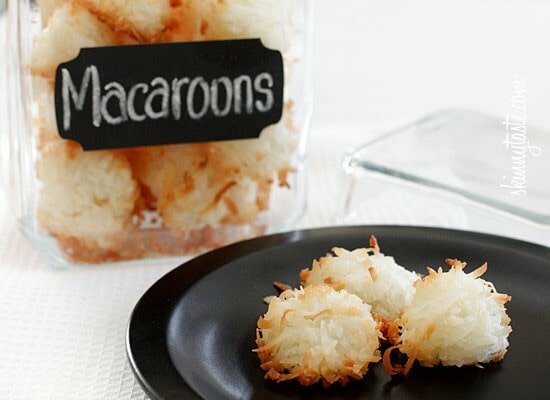 Macaroons are a coconut-based, sweet and chewy cookie with lots of texture while macarons are a meringue-based delicate cookie that ranges in a large variety of flavors and fillings. No, if you’re eating the cookies within the first couple of days there is no need and keeping them in a container will be fine. But, if you plan on eating them over the course of 2 weeks or so, then I would keep them in the fridge to keep its’ moisture. In a heavy saucepan combine egg whites, sugar and coconut flakes and cook over medium-low heat, stirring frequently until all the ingredients combine together, about 12-15 minutes. The mixture should be sticky and moist, not dry. 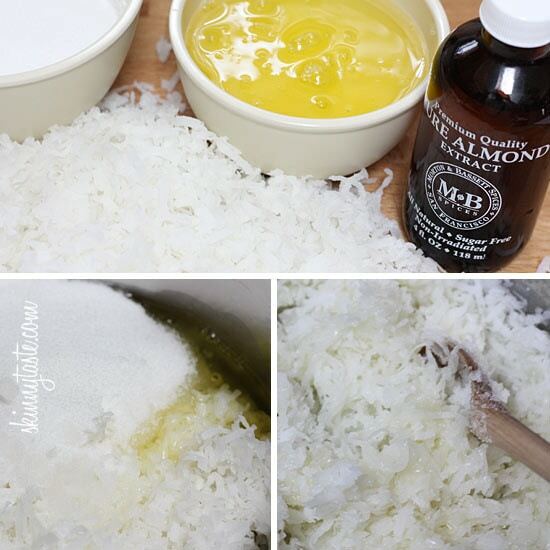 Remove from heat and stir in the almond and vanilla extracts. Set aside on a dish and let it cool in the refrigerator about 30 minutes. Using a tablespoon, scoop tightly packed tablespoonfuls onto a baking sheet covered with a silpat or parchment paper. Bake 27-30 minutes or until golden.